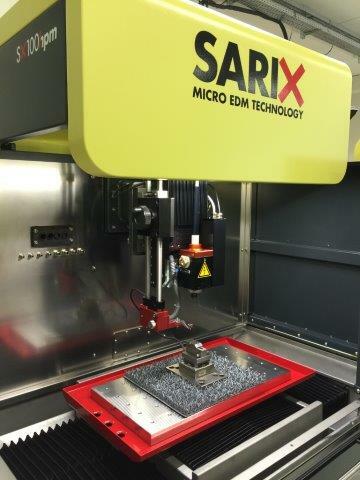 The capacity of the NEW SX100 PULSAR machine brings new innovative “multi-axis-motion” as the 3D high precision Micromachining. 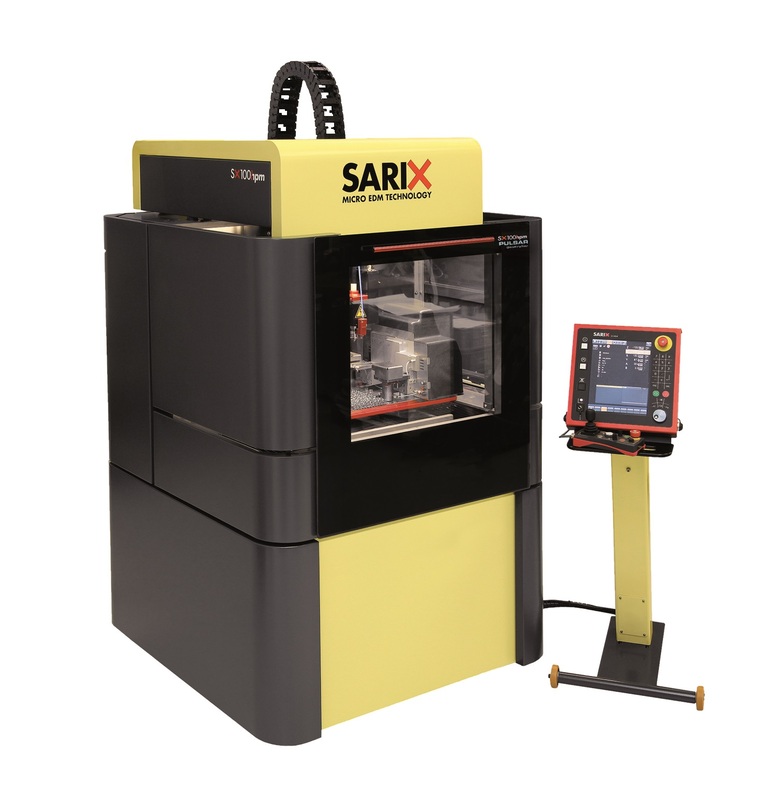 NEW SX-MPS PULSAR, high performance SARIX Micro Pulse Shape EDM generator, with its associated Technology opens up new opportunities for smaller, deeper and more precise perfect holes. 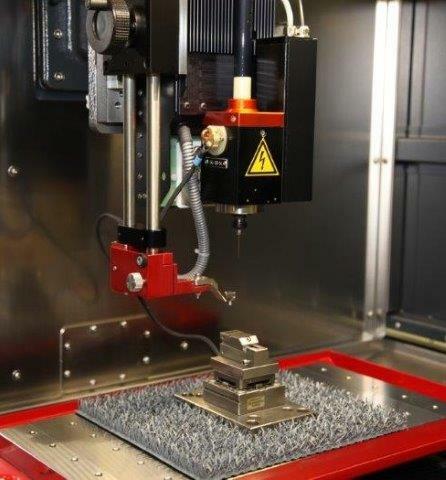 The multi-axis CNC allows the indexing of complex work pieces where the performance of the Micro EDM Machining is requested. NEW SX-HMI, “On-board”, easy and user friendly unlimited programming and editing software. 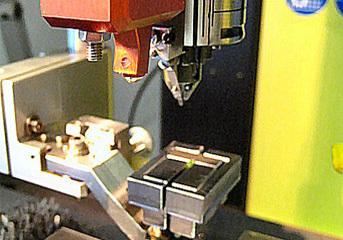 High precision Automatic electrode refeeding spindle with dielectric or air clamping control for continuous production. 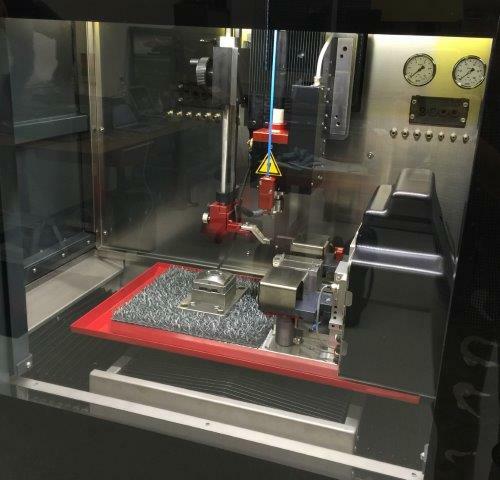 High Speed Micro EDM drilling Technology with breakthrough-detection device. High surface finishing capability down to Ra 0.1 and Ra 0.05 with the Micro Fine Pulse Shape generator SX-MFPS PULSAR. 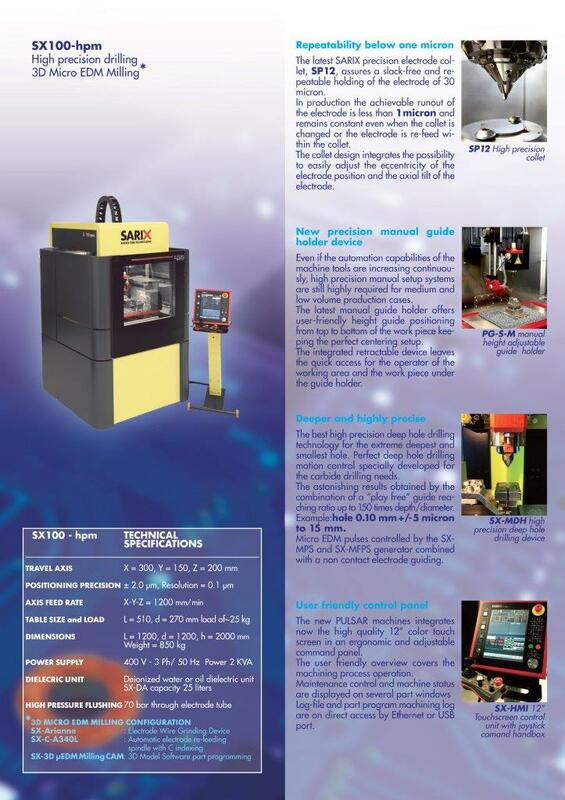 Micro EDMing machining technology with solid and tube electrode from 45 Microns to 3.0 mm. Micro Holes, high Precision Micro holes and shape holes down to 20 Microns. High precision positioning accuracy up to ±1 Micron. Automatic axis positioning control with depth control.